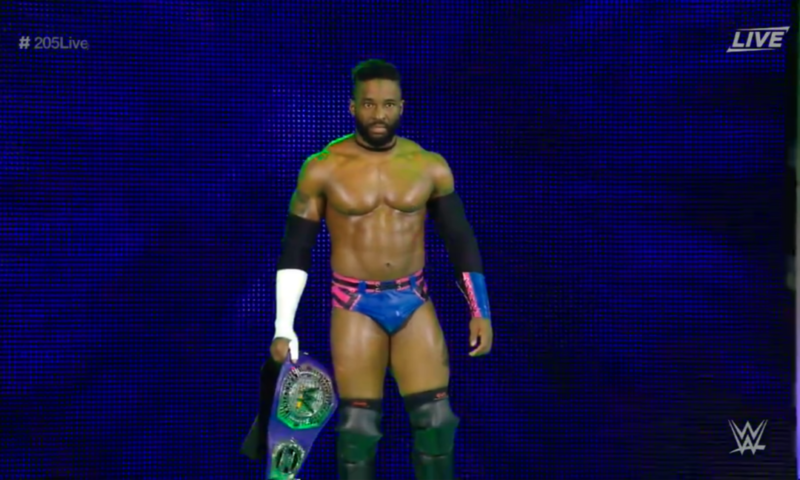 Cedric Alexander successfully defended his WWE Cruiserweight Championship in Saudi Arabia against the Gauntlet winner, Kalisto! While the Lucha Dragon settles things with the aggressive grappler, Drew Gulak, who will step up to challenge the Age Of Alexander? And what of the Best Kept Secret, Buddy Murphy, weighing in? 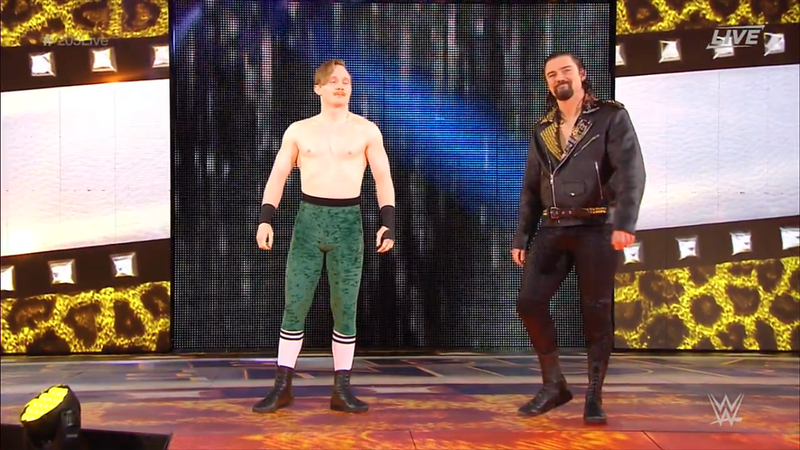 Hideo Itami & Akira Tozawa VS Jack Gallagher & THE Brian Kendrick; Gallagher & Kendrick win. 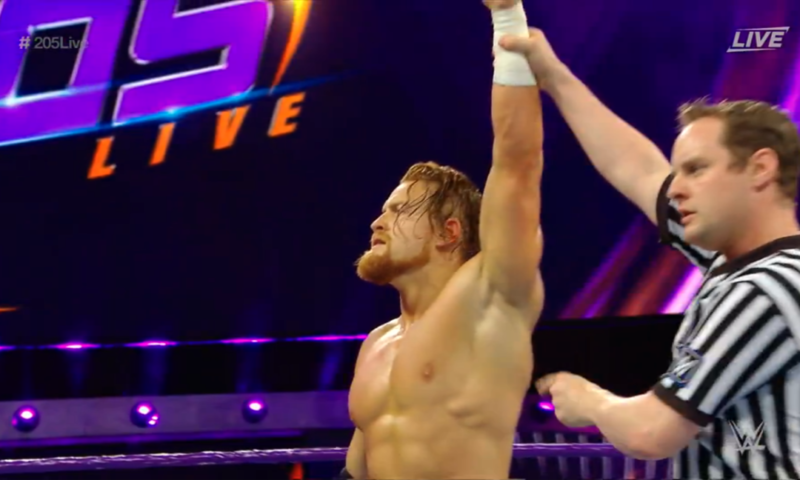 Buddy Murphy VS Liam Louise; Murphy wins. Drew Gulak VS Kalisto; Gulak wins. 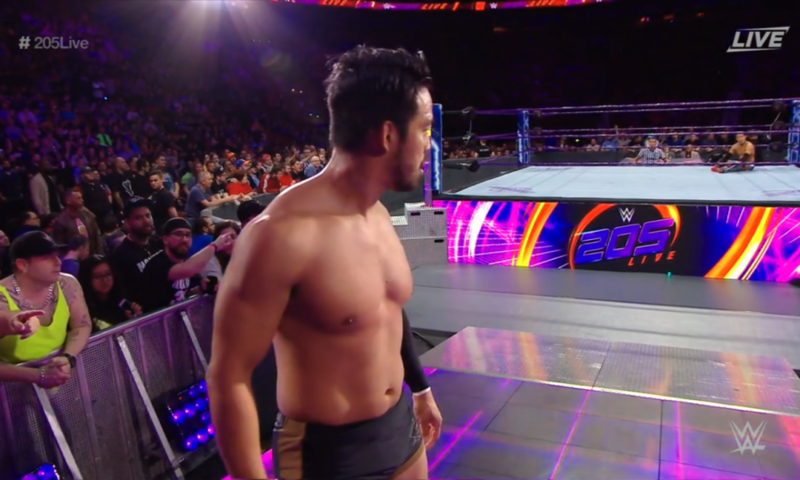 205 Live reviews the Greatest Royal Rumble’s Cruiserweight Championship match. Current champion Cedric Alexander and former champion Kalisto opened the inaugural event in Saudi Arabia, and burned the house down! It was their first ever meeting but the Lucha Dragon and Soul of 205 Live were still familiar with each other’s style. In the end, the light speed luchador would be stopped with an amazing reversal of his finisher into Alexander’s. The Age of Alexander rolls on, who will rise to meet the challenge? 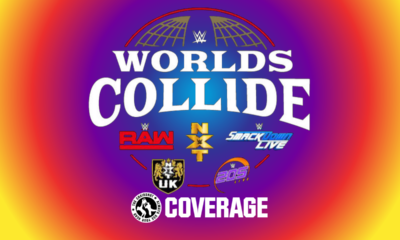 Hideo Itami & Akira Tozawa VS Jack Gallagher & THE Brian Kendrick! 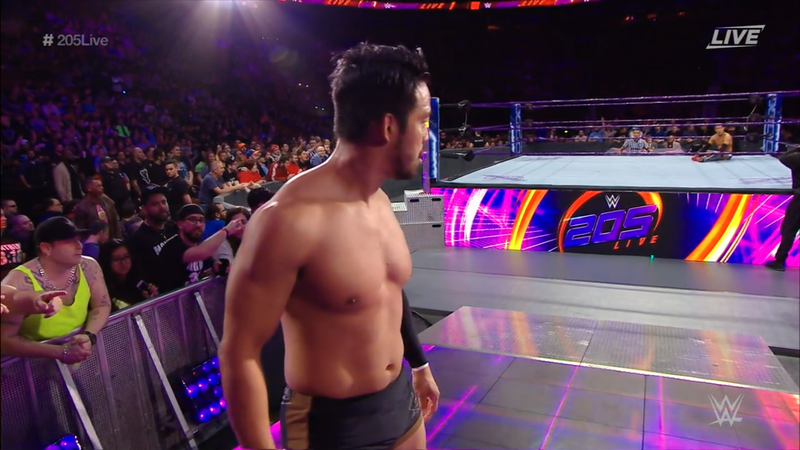 The tag team action on 205 Live has been intense to say the least. 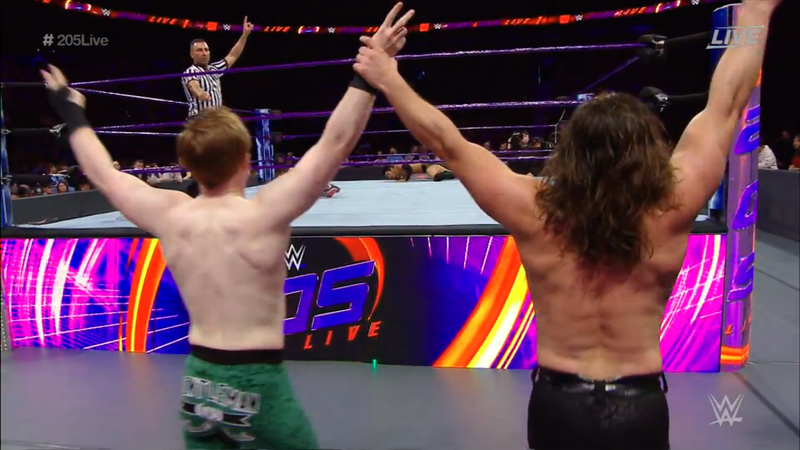 This Strong Style duo has been going back and forth with the Lucha House Party for weeks no, even in losing the first ever 205 Live Tornado Tag. Meanwhile, the Ungentle Men are back as a team in their own right. 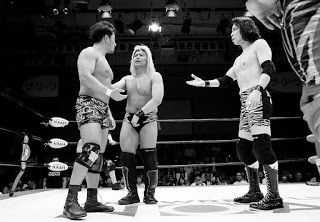 Now, they said there are no hard feelings between them and Itami, but will that all change with this match? 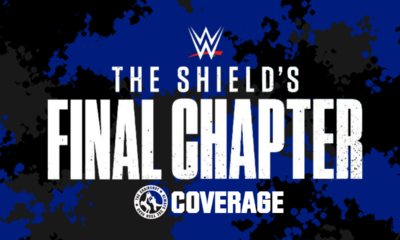 The bell rings, and Tozawa starts against Gallagher. They circle, Tozawa staying out of Gallagher’s reach as he jabs. Gallagher swings and Tozawa ducks under to chop and chop. Tozawa fakes the third chop to hit his own jab! 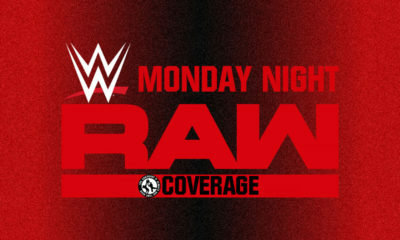 Gallagher sits down in a corner and Tozawa stomps a mudhole in while Montreal echoes the “AH! AH!” Gallagher blocks one to then headbutt and whip Tozawa. Tozawa reverses but Gallagher sunset flips, only for Tozawa to roll through and hit a Penalty Kick. Tozawa hits the back senton, then starts up more “AH! AH!” Gallagher retaliates with a jawbreaker, but both he and Tozawa tag out. Now it’s Kendrick and Itami, this will be the test of Kendrick’s word. The two circle then tie up, and Kendrick gets the armlock. He grounds Itami but Itami drop toeholds back. Itami puts on a headlock, but Kendrick stands up and reverses to a wristlock. Itami hits back with a forearm, then dares Kendrick to bring the fight. Kendrick does with a stiff forearm of his own, and now they trade forearm for forearm. They go back and forth, Kendrick changes up to chops. Kendrick brings Itaim to his knees, but Itami fires back with haymakers. Kendrick clubs and kicks Itami, but Itami blocks. Itami dragon screws the leg, then stomps Kendrick back. Tag to Tozawa, and they double whip Kendrick corner to corner. Tozawa hits the elbow, Itami runs in and together they hit the corner kick combo. Tozawa climbs up and takes aim for a big missile dropkick. Cover, ropebreak! Kendrick gets to a corner but Tozawa is on him with stomps. Tozawa backs up and runs back in, but Kendrick puts him on the apron. 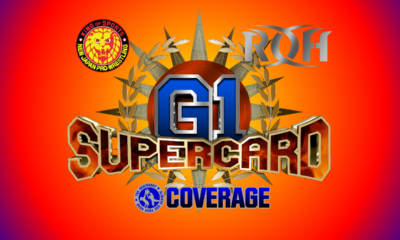 Tozawa fights Kendrick and Gallagher off, but Gallagher then anchors a foot. Kendrick boots Tozawa down to the ground! Gallagher sneaks back to his corner, then tags in. Gallagher drags Tozawa up and uses a Russian leg sweep to throw him into barriers! They go back into the ring, and Gallagher covers, ONE. He tries again, TWO. Gallagher takes his time as he brings Tozawa up and over to his corner. Tag to Kendrick, and the Man with a Plan keeps on Tozawa, another familiar foe of his. Kendrick puts Tozawa in a chicken wing chinbar, but fans “AH! AH!” for Tozawa. Tozawa feeds off that energy and fights back, but Kendrick whips him to the corner. Tozawa takes out Gallagher, then blocks the saido suplex. Kendrick clubs him down but Tozawa slips under, tag to Itami! Itami rallies with kicks all over Kendrick. He lifts Kendrick and whips, but Kendrick reverses. Itami dodges Kendrick to hit Gallager down again, then he boots Kendrick away. Itami hops up and grabs Kendrick for the tornado hotshot! He climbs up again,and hits the flying clothesline! Cover, TWO! But Itami keeps focus, he gives Kendrick a strike fest. Kendrick sits down, “RESPECT ME!” Hesitation dropkick! Itami is still moving as he brings Kendrick back up, but Kendrick snapmares out. Kendrick boots Itami, Itami staggers and Tozawa tags in, then Itami boots Kendrick in return. Kendrick rolls out of the ring while Tozawa fires up. Tozawa builds speed and DIVES! The Tozawa Torpedo takes out both Ungentle Men! Tozawa puts Kendrick back in the ring, and runs for a tilt-o-whirl into the Octopus stretch! Gallagher attacks to break that hold, then knocks Itami down in return for eariler. Gallagher then goes back to his corner to tag in. He goes after Tozawa while Kendrick climbs up. Gallagher powerbomb lifts Tozawa, but Tozawa slaps Kendrick off the top to then huricanrana Gallagher away. 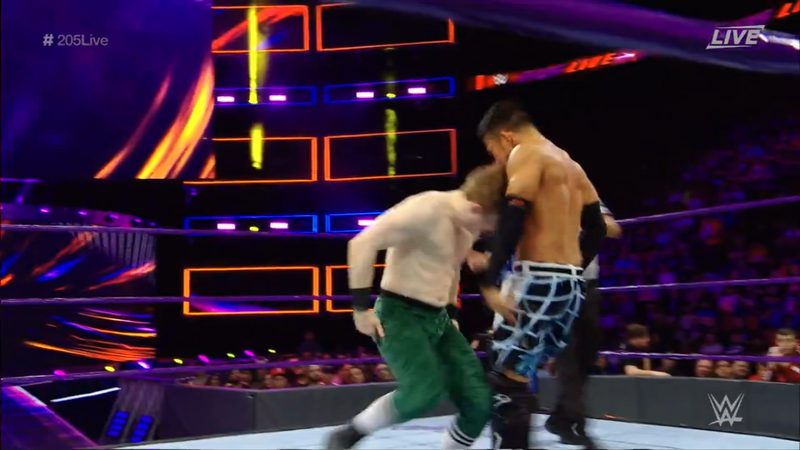 Tozawa and Gallagher both stand up, and Tozawa catches Gallagher with his spinning roundhouse! Gallagher goes down but Tozawa goes up. Tozawa takes aim, but Kendrick runs back in, with Itami following. Itami bumps the ropes and that trips Tozawa up! Itami realizes his error, but Kendrick knocks him down with the calf kick. 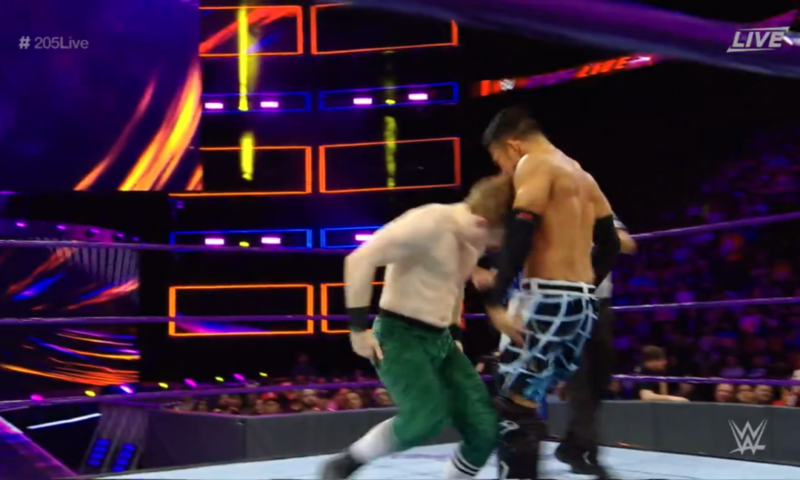 Tozawa falls to the mat, Itami is out of the ring, and Gallagher finishes with the Extraordinary Headbutt! Cover, the Ungentle Men win! This was far from civil, but as Kendrick’s track record will show, it wasn’t the worst he’s done, either. Will the cruel winter continue to leave the other Cruiserweight tag teams out in the cold? Meanwhile, it seems Itami is very upset with Tozawa. He shoves Tozawa down, and fans boo and jeer while he leaves. The fans chant “No Respect!” both because they don’t have any for Itami, and Itami apparently doesn’t have any for Tozawa. 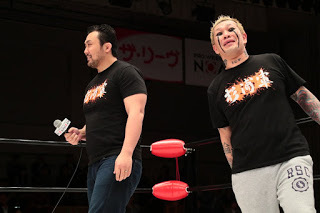 Is this tag team already on the rocks after a couple losses? “This must be what it’s like to be Kalisto. Second place, runner-up.” Gulak says Kalisto squandered his opportunity at the Cruiserweight Championship in Saudi Arabia. Gulak isn’t surprised, though. Kalisto barely beat the “best submission specialist” in the WWE with all that flipping, flopping and flying. Gulak won’t let that work tonight, because he’s 100% this time. The second Kalisto enters the ring, it’s over. Gulak must prove that flying isn’t how you win in a #Better205Live. Because when you step to Gulak, you will tap out. Will Gulak keep his word while evening the score? Buddy Murphy VS Liam Louise! 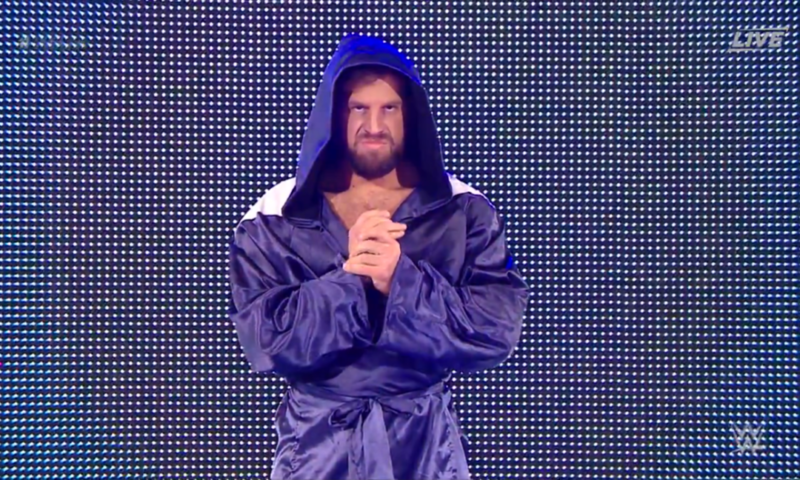 The Best Kept Secret returns to the Cruiserweight Division after not making weight a couple weeks ago. 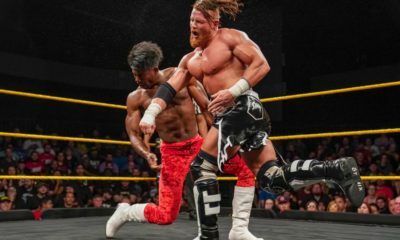 He didn’t get his shot at the champion, but he made it clear to Drake Maverick that he still wants after the Cruiserweight title. Will the Aussie Antagonist prove he’s worthy to challenge the Age of Alexander his first night back? The bell rings and Murphy immediately manhandles Montreal’s Liam into a corner! Murphy stomps a mudhole, then suplexes Liam up and down. Murphy shows no mercy as he kicks and scrapes Liam against the ropes. He throws Liam down and stalks him to the other side. Murphy even slaps Liam, which the referee reprimands him for. Murphy walks back to Liam, and Liam hits a right forearm! The fans cheer, but Murphy gets mad. Murphy blocks the kick into a powerbomb! But he doesn’t cover, he deadlifts Liam back up for a second powerbomb, and then a third! Now Murphy covers, but he lets Liam go?! Murphy doesn’t want to win, he wants to hurt Liam. The referee checks on Liam, but he’s in no shape to continue, he calls it. The merciless Murphy wins his return match, and does not care about what he did to the local boy, Liam. Murphy only cares about getting the gold, and the champion knows it. 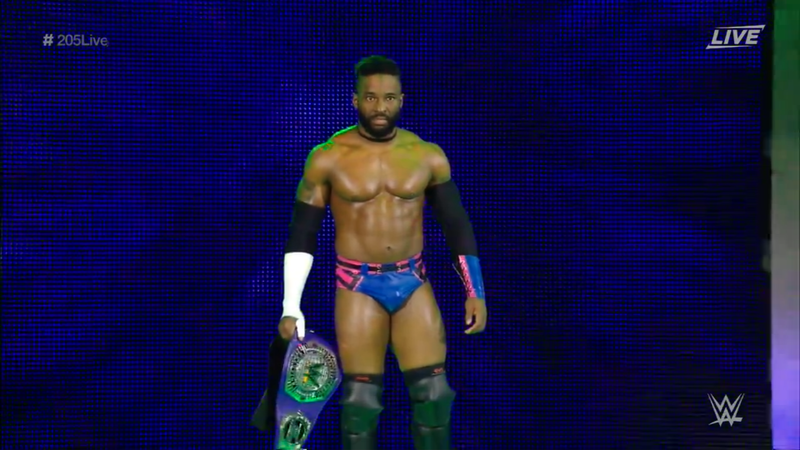 Which is why Cedric Alexander appears! Alexander promised to get even with Murphy should Murphy return, here’s his chance! The two rush each other and it’s a brawl on the stage! Alexander and Murphy throw hands back and forth, but Alexander trips up Murphy! Murphy kicks Alexander away to retreat, but Alexander pursues! 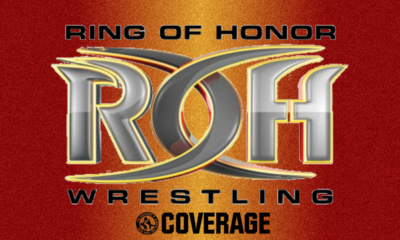 Is the Best Kept Secret going to regret returning to the Cruiserweight Division? Backstage interview with Cedric Alexander. 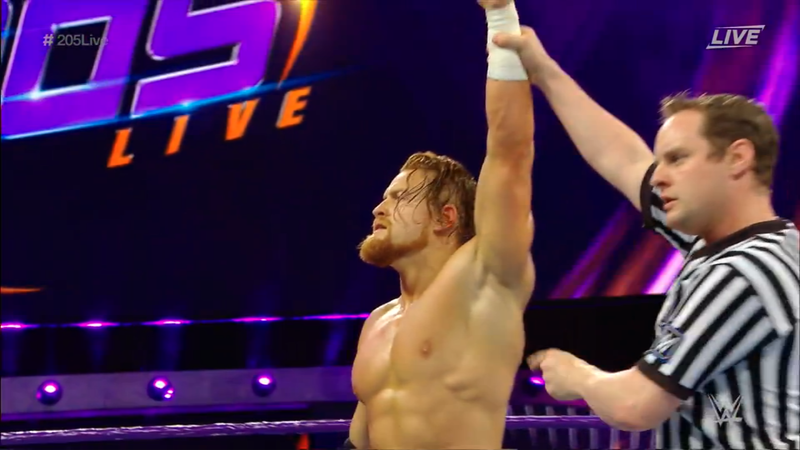 “What just happened out there?” For those who forgot, Buddy Murphy made a statement weeks ago with his sneak attack. That was Alexander’s long awaited response. The difference is, Alexander didn’t attack from behind. If Murphy wants the title as badly as he thinks he does, he knows where to find the champ. When and where will the Age of Alexander defend his championship against the Best Kept Secret? The Cruiserweight Crusader proclaims to be the best submission specialist in all of the WWE, but that still didn’t win him the Cruiserweight Championship #1 Contenders Gauntlet. 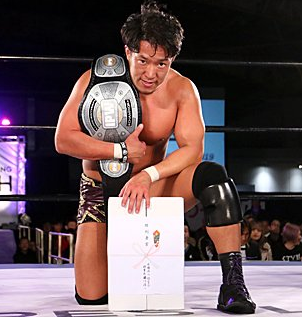 Of course, the former champion didn’t win the Cruiserweight title back, either. 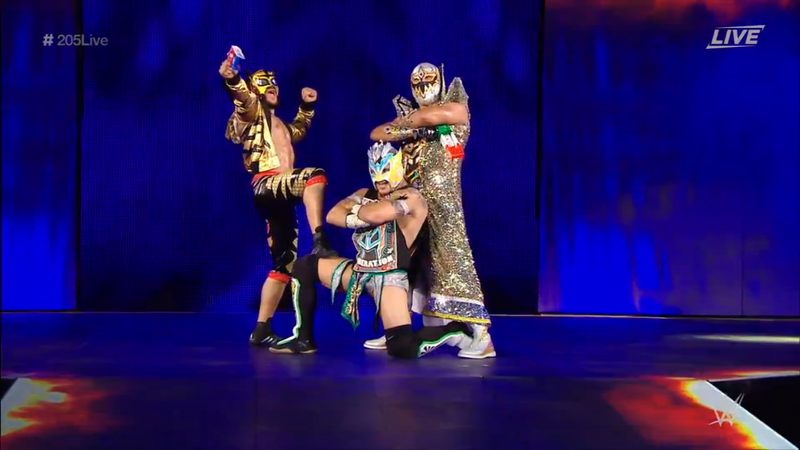 But as Kalisto says in his selfie promo, it was thanks to his amigos that he picked himself back up. Will Gulak grind Kalisto into the ground? Or will the power of lucha carry Kalisto through? The bell rings and the two circle. They feel each other out before tying up. Gulak gets the waistlock and slam, then he slaps Kalisto in the back of the head. Gulak keeps Kalisto from escaping with a partial Bow ‘n’ Arrow lock, then goes after the arm with a keylock into a half nelson. He rolls Kalisto with a full nelson to a cover, ONE. Kalisto pops out, rolls and cartwheels to reverse the wristlock onto Gulak. Gulak breaks free, but Kalisto starts up a “Lucha! Lucha!” chant. Gulak still hates chants, but he keeps his cool as he and Kalisto circle. They tie up, Gulak gets wristlock control and brings Kalisto down. Fans rally, and Kalisto springs up, but he can’t reverse the hold this time. Gulak brings Kalisto to the mat again, and traps one arm in a hammerlock while bringing the other arm all the way down. 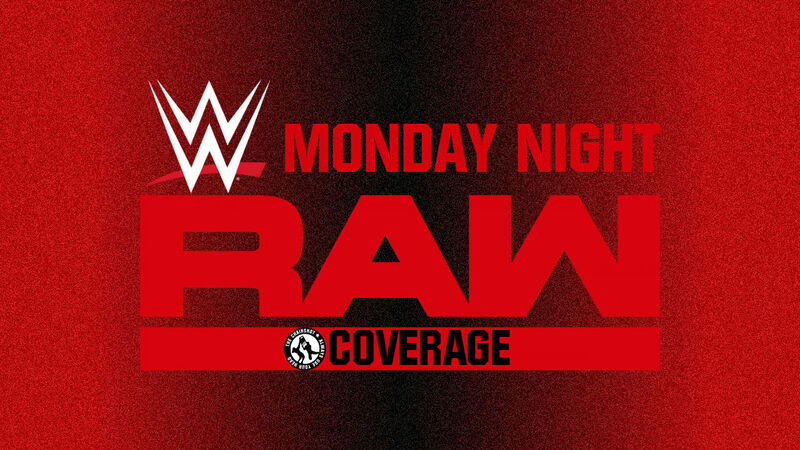 It becomes a cover, ONE, but Kalisto can’t get away. He stands up but Gulak shifts to a headlock for a takedown. Gulak traps an arm again, but Kalisto works his way against the hold. Kalisto stands while fans rally, and he spins out to his own headlock. Gulak powers out and things speed up as Kalisto handstand walks. Kalisto handsprings back but Gulak avoids him completely. Fans applaud this exchange, not that Gulak was impressed. Kalisto says Gulak is just scared of his speed. Gulak powers Kalisto to a corner, and dirties the break with that body shot. Gulak grabs a leg and brings Kalisto down into a Half Crab. Kalisto turns around while fans rally, and he hops to throw Gulak off! Gulak goes right after him again with stiff chops, then whips Kalisto corner to corner. Kalisto boots Gulak away then hops up, to fly for a spinning arm-drag! Kalisto keeps moving to Spike-Rana Gulak into the mat. Gulak slips out of the ring, but Kalisto takes aim, and slingshots for a corkscrew plancha! But Gulak uses that to give Kalisto a gutbuster! Kalisto writhes on the ground while Gulak taunts him and his high-flying style. Gulak then rams Kalisto into the LED apron ribs first to add on to the damage. He stalks Kalisto around the corner, then brings him up and into the ring. Gulak stomps Kalisto around the ring, then brings him up into powerbomb position. He lifts, not for the bomb, but for the Gory Special! Gulak keeps going with a deep, deep stretch, pulling on Kalisto’s chin to get all of that spine bending as Gulak squats. He makes it a backslide, TWO, but Gulak keeps on him with a take on the full Boston Crab. Kalisto slowly works his way out, but that makes it a cover, ONE. Gulak works to turn Kalisto back over, but Kalisto crawls to the ropes for the break. Gulak lets go of Kailsto but goes right back at him with stomps. He whips Kalisto to a corner, then clubs Kalisto with forearms. Gulak whips Kalisto corner to corner, then runs in for a corner clothesline. Cover, TWO. Gulak keeps on Kalisto with another Bow ‘n’ Arrow hold. He bends Kalisto backwards, saying he should give up already. Fans build to a rally for Kalisto, but Gulak stands up for a unique take on the Half Crab. Gulak pulls Kalisto’s leg back while bending Kalisto’s back. Kalisto tucks and slips out to then kick Gulak away. Kalisto keeps kicking Gulak around the ring, but Gulak rocks him with one right forearm. Cover, TWO, but Gulak stalks Kalisto. Gulak goes after the mask! He almost has it off, but the referee works to stop him. Gulak won’t leave it alone, but Kalisto saves himself as he throws Gulak out of the ring. Kalisto pulls his mask back down while Gulak returns. Kalisto glares at Gulak, and unloads kicks on Gulak! He whips but Gulak reverses, Kalisto tumbles to the apron. Gulak runs over but into a Listo kick, then the springboard missile dropkick! Gulak slips out the other side, so Kalisto slingshots out for a flying arm-drag! Kalisto throws Gulak to the ramp, but he wants Gulak to get up. Fans chant “Lucha! Lucha!” as Kalisto runs in. Gulak pops him up to the apron, but Kalisto jumps right back off for a flying headscissors! Fans fire up as Kalisto puts Gulak back in the ring. Kalisto takes aim from the apron, then springboards for the crossbody. Cover, TWO, and Gulak rushes Kalisto again, only to get dumped out to the floor. Kalisto takes aim again, and hits the knee-springboard senton! Kalisto topples Gulak down and the fans fire up again. Both men are down, so the referee begins a ten count. Kalisto puts Gulak in and covers, TWO. Kalisto keeps focus and starts up another “Lucha! Lucha!” chant. He goes for Salida, but Gulak throws him off. Kalisto shoves Gulak but Gulak rolls under Kalisto’s jump to O’Conner roll! TWO and Kalisto speeds up for a sunset flip, TWO! Kalisto catches his breath while coming up with ideas. Fans love the action, declaring “This is Awesome!” Kalisto and Gulak slowly sit up, and Kalisto throws hands. 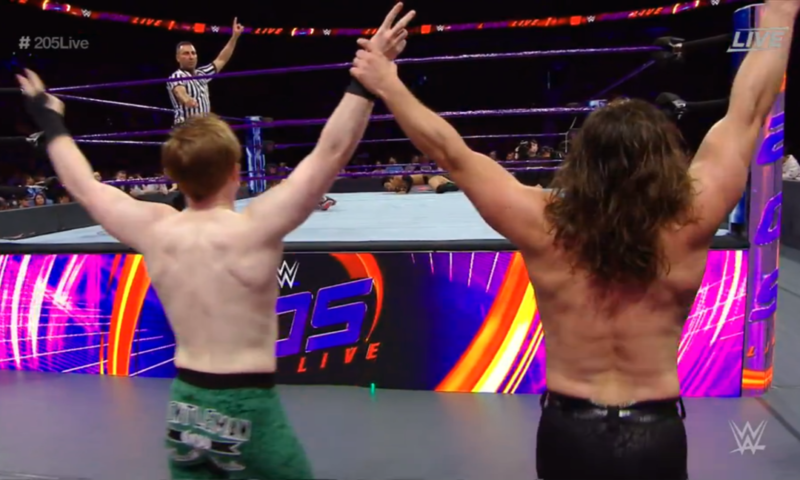 Gulak hits back with palm strikes but Kalisto back kicks, another Spike-Rana connects. Kalisto keeps going, but his quebrada is caught into the GuLOCK! Gulak has Kalisto trapped with dragon sleeper and body scissors. Kalisto taps, Gulak wins! The self-proclaimed best submission specialist makes good on his word, Kalisto did tap out. The other members of Lucha House Party return to check on their friend. Gulak is tempted to get greedy, but chooses discretion over aggression. Gulak wants to create a #Better205Live one win at a time, will this win lead him towards the Cruiserweight Championship? Another solid night for 205 Live and the Cruiserweight Division. The opening tag team match was good but I really hope they don’t break up the team of Itami & Tozawa already. The Cruiserweight Tag Team Division isn’t even official, they can’t break up teams before we even get going! 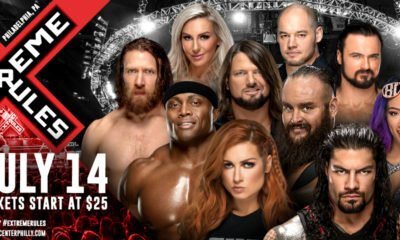 Even if they added the Daivari Brothers, as teased at the Greatest Royal Rumble, breaking up another team would make the net gain zero. Murphy’s return was expected, but that squash match was rather surprising. 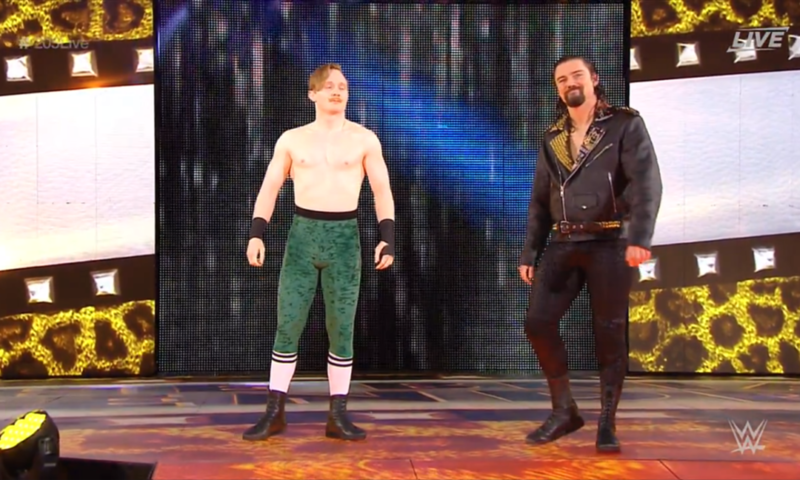 His confrontation with Alexander was good, and he’ll have a match with Mustafa Ali next week, so it sounds like Murphy VS Alexander will happen at Money in the Bank at the earliest. Kalisto VS Gulak was great, and Gulak gets back on track with his win. The little moment of temptation was a nice touch, Gulak is violent but still logical. Should Alexander retain against Murphy, I’d assume Gulak moves up next to finally give us the match-up we’ve been waiting for since the dark days of Enzo Amore’s reign. And if Murphy wins, I’d imagine Alexander gets his rematch at Extreme Rules, maybe even in a No Disqualifications Match.